Pickling is a great way to preserve various fruits and vegetables. One vegetable that many people might be surprised can be picked is the carrot. Carrots are used as ingredients in many recipes, salads, and as a tasty snack. 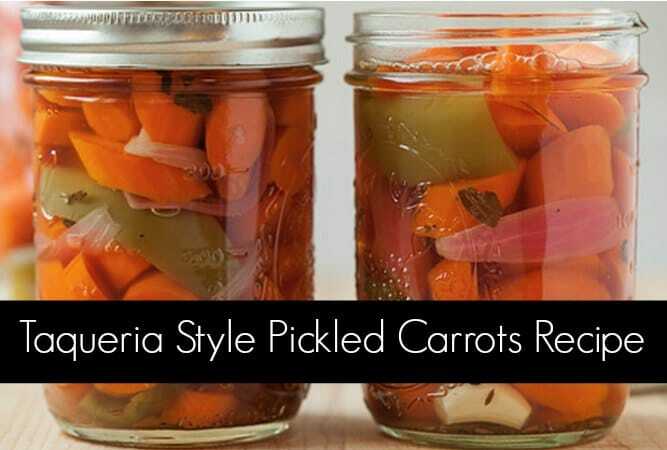 A fun option to consider is preparing taqueria style pickled carrots just like those served in many restaurants and taco shops. The time required to make taqueria style pickled carrots is about 40 minutes. This includes preparation and cooking. Expect to have about four pints when preparing the mixture to add to your jars. These pickled carrots don’t last long at our homestead, and friends and family are always grateful for a jar.